Do you have a sneaking suspicion that your Internet service provider is the slowest in your area when it comes to streaming video? 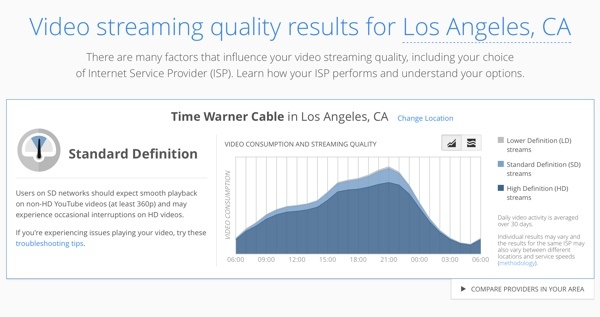 Now you can know for sure: Today, Google is introducing the Google Video Quality Report, a free web-based tool that gives you valuable information about the speed and reliability of your ISP when it connects to a data-hungry site like YouTube. Your Google Video Quality Report, which can be accessed simply by visiting www.google.com/get/videoqualityreport/, contains a chart showing YouTube video consumption and video quality over a 24-hour period. If your ISP offers speedy, consistent service (> 2.5Mpbs), video should be delivered in high definition (720p) close to 100% of the time. If your ISP is slow – or if your ISP is playing Net Neutrality games and artificially slowing speeds – you’ll see it in the report. You’ll also be able to compare your ISP’s performance to others in your area and find tips for improving your slow Internet connection speed. The Google Video Quality Report is currently available only in the U.S. and Canada, though support for other countries is coming soon. 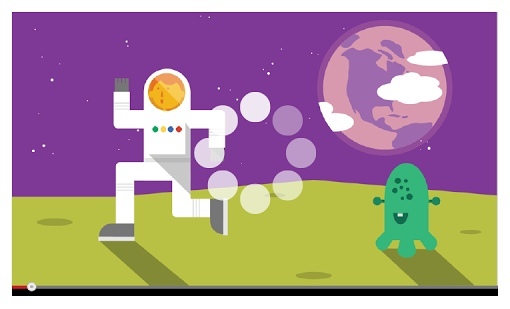 For more on the Google Video Quality Report, visit the YouTube Official Blog. You can learn more about the methodology behind the Google Video Quality Report at google.com/get/videoqualityreport/#methodology.